I have a problem. It’s way more than that. It’s a complete catastrophe. I can only liken it to filtering water through concrete. Go ahead. Try. I’ll wait. How did that go? Got a full glass? Half? A drop? I didn’t think so. For the last month, I’ve been tortured by this blog. Not really by the blog directly. More so with thoughts that don’t pertain to the words already written here. I’ve been writing, and at first it seemed therapeutic. All my thoughts would pour easily on to the page, and I’d have some respite in return. Rather quickly, I realized no one was reading these words, and it lost its appeal. The point of this blog was to expose myself. Reveal part of the mystery. Grow. But I’m not. I’m stuck in an introvert’s self-imposed hell. I took an informal poll yesterday on Twitter. An overwhelming majority (practically all) of my followers who responded suggested I combine the two worlds I’ve been living in…my running life…and my tortured emotional life. They are linked for me. I use one to escape the other…sometimes quite literally. And on rare occasions…most people call these long runs…I use one to find the other. To dive into myself. Dig deeper holes just to fill them in later. Redefine myself. Develop grand plans for the future. So here’s the disclaimer: In addition to training updates, race reports, product reviews, and the occasional blurb about my kids, I’m going to post some things that may be hard to hear…or read. Know that I’m posting it as a way to work through it, and NOT as a way to hurt anyone else. This is MY blog, and I have that right. Nothing I say or do is ever in an attempt to injure another…I’m not that kind of person. But if I can’t post about my interactions with the world, I’ll likely implode. And I can’t have that. Not anymore. Does that mean you can’t trust me? Of course not. Can’t tell me anything? No way. You can expect a flurry of blog changes this week. Small at first, but you are about to see a whole new me. I have some huge feats coming up, and although I’ve already been working on the physical side, this place doesn’t reflect that. You are not in the loop. And I want you there. So you can call me on it. In fact, if you don’t see or hear from me on a regular basis, here’s my permission to ask…or push…use brute force if necessary. Alright. I’m terrified. And that seems like as good a place to start as any. I have work to do. Who’s ready to run? 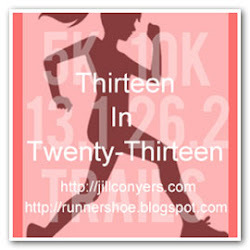 This entry was posted in Life and tagged introvert, refocus, Running, secrets. Bookmark the permalink. I have been wondering about you. I look forward to watching you grow as you work through. You are a wonderful, helpful, exiciting and talented person. I heard a song this morning that said “count your blessings and start with the one where you were forgiven of sin”. Man did that hit me hard. I often forget to count all the wonderful blessings in my life. The song went on to say that when you are done counting you will be sitting on a MOUNTAIN of blessings that you didn’t know or forgot you had. WOW! Something I need to do more often. By the way – Having you as a friend is one of the blessings in my mountain. I wondered who that was. Makes sense that it was you. I am grateful to have you in my life. I know we are focused on different paths right now, but sooner or later they will merge again. I wish you blessings on your current journey. Let’s get together soon! I know I’m not good at commenting… But I have been reading & I’ll try to be better at responding 🙂 I’ve been thinking about you a lot lately. …I’m looking forward to getting to know you better & seeing where this journey takes you. Thanks Amy. It’s been a hard road lately. But running away from it hasn’t helped at all. I appreciate your thoughts and kind words. I’m reading and from one blogger to another, it’s not easy – for so many reasons. I wish you luck as you prepare to put yourself out there. I have and while I am not always sure I LIKE the results, it has helped me grow and heal in more ways than I can count. We learn from others too, which is why I’ll be following your new direction too! Thanks Sara! I appreciate your support. I think I’ll hang around for awhile. Thanks Chris. It could become a very scary place. Very scary indeed. I do scary places well. I’m really excited to see the changes and am glad you’re expanding the blog to open more of yourself! Thanks Josh. I’ve already done a lot of the work, it’s just about time you get to hear about it.